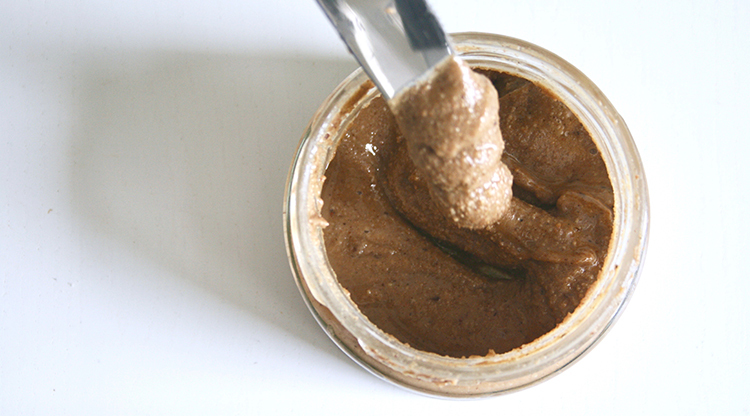 Hello, I am Kezia and I am a nut butter addict. It has taken me some time to admit it, but it’s true. So in true addict style, I have recognised the problem and have come up with an alternative that is pretty much the same……only not made from nuts!? Seriously though I am just on a 3-4 week experiment of strictly no nuts to see if it helps with some residual inflammation I have in my (awesome) body. If you want to know more about my current health battles then you can catch up here. (What do you mean inflammation Kezia? I know it sounds vague but I am pretty in tune and I know just know when things are a bit off, some of it is some extra weight which feels more like inflammation than fat, achy joints and taking too long to recover from exercise). So the main thing I love is nut butter, I mean what else can I dunk my banana into in the morning before my walk or weights? But then, whilst scanning one of my favs @thewholefooddiary Instagram, I came across this American phenomenon on sunflower seed butter (God bless America!!!) and viola, my addiction has been replaced with another…..how healthy!!??! Now, this is not exactly like almond butter but does the job for me. It’s a little bit more bitter so requires some more flavours and sweetness so I pimped mine up in this recipe with maca powder, cinnamon, LOTS of salt, raw honey, ghee and coconut oil…..but seriously SO GOOD. Other than dunking bananas into it pre-exercise, you can use it in smoothies, on my buckwheat toast, on a pancake or my absolute fav, is dunking 90% dark chocolate into it!!! Great source of protein and fat (obvs) as well as vitamin E, a great antioxidant, perfect for happy skin! And if you want more sugar-free recipes that will make your belly happy and energy endless, then click above to get your free recipe guide! 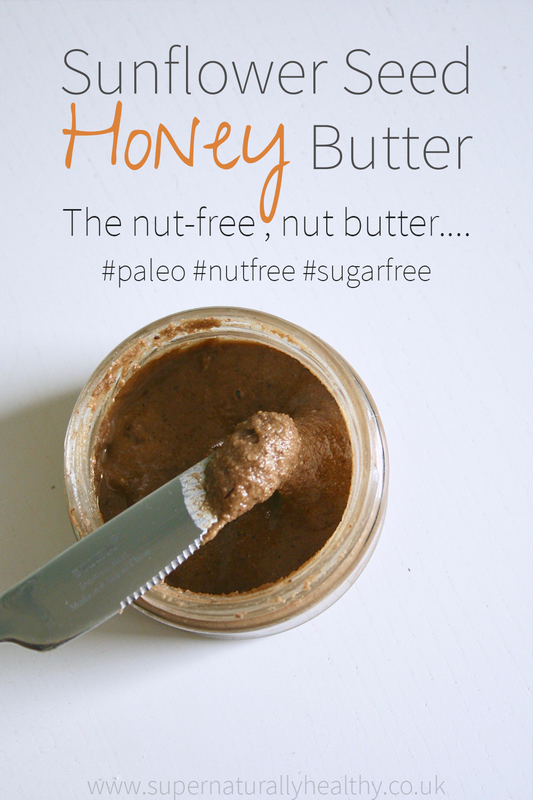 A nut free alternative to almond or peanut butter. Preheat oven at 180c and place sunflower seeds in there for 20minutes to toast slightly. Remove when a slightly golden colour. Allow to cool and then place all ingredients in food processor and blend until smooth - this will take about 5-10 minutes.